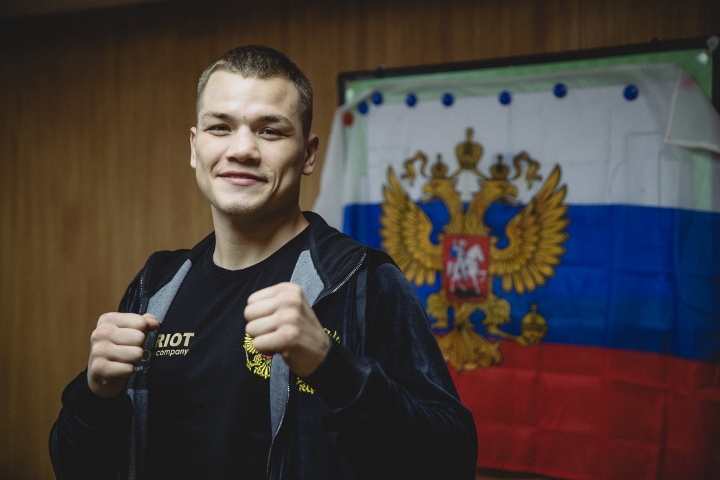 Former WBA super middleweight champion Fedor Chudinov was on a four-fight winning streak, coming into his clash versus little-known Chinese import Wuzhati Nuerlang, which took place yesterday in Serpukhov, Russia. For many he was coming in with a legitimate loss to Frenchman Nadjib Mokhammedi on July 21, his latest fight, which went into the record-books as a W for Chudinov and one of the most controversial decisions of 2018. There was nothing controversial in his fight against the 22-year old Urumqi native, who has fought all but one of his battles in his native land. The only time Nuerlang left China for Philippines, he lost to rising Uzbek prospect Azizbek Abdugofurov (who himself is rated #6 by the WBC), albeit in a relatively close fashion. Chudinov, 31, used his superior experience, overall finesse and considerable power to keep Wuzhati honest. The fight was mostly fought in close quarters, Chudinov delivering more to eat less than Nuerlang. The Russian was also good with his body shots, troubling the Chinese fighter. It was a rough fight, but as rounds went by, Chudinov’s advantage got more and more visible. The bout was going his course, when Nuerlang suffered an injury and retired in his corner after five complete rounds. WBA #2, IBF #6 and WBC #7 ranked Chudinov is now 19-2, 13 KOs, and five wins removed from his back-to-back losses to Felix Sturm (on a controversial MD) and George Groves (on a one-sided TKO). Wuzhati Nuerlang drops down to 11-3, 9 KOs. The show was promoted by well-known Russian promoter Vladimir Hryunov and featured several top names, including 2004 and 2008 Olympic gold medalist Alexey Tischenko, former WBA/IBF cruiserweight champion Murat Gassiev and Olympic champions Rakhim Chakhkiev and Egor Mekhontsev. Big, hulking and muscular heavyweight Shigabutdin Aliev moved to 7-0, 5 KOs, with the first-round demolition of reigning Mexican champion Luis Pasqual. Pasqual (14-4, 12 KOs) was derailed with a smacking right hook to the temple and failed to get up in time, showing little desire to do so. Also, bantamweight Fatima Dudieva (3-0, 1 KO) decisioned debuting Yana Andreeva (0-1) over six.